Belize NMS: A relatively moist northeasterly airflow will continue over our area during the next day or so. 24-hour forecast: Cloudy with sunny breaks today and mostly cloudy tonight. A few periods of rain and isolated showers will occur mostly over central and southern areas, increasing tonight. General Outlook: For Saturday and Saturday night is for a few periods of rain or showers mostly over central and southern areas. Today NE 5-15 kts Choppy-Moderate 3-5 ft A FEW PERIODS OF RAIN AND ISOLATED SHOWERS. Tonight NE 5-15 kts Choppy-Moderate 3-6 ft SOME PERIODS OF RAIN AND A FEW SHOWERS. Tomorrow NE 5-15 kts Choppy-Moderate 3-5 ft A FEW PERIODS OF RAIN OR SHOWERS, DECREASING. Outlook NE-E 5-10 kts Choppy 3-4 ft SATURDAY NIGHT:- ISOLATED SHOWERS. 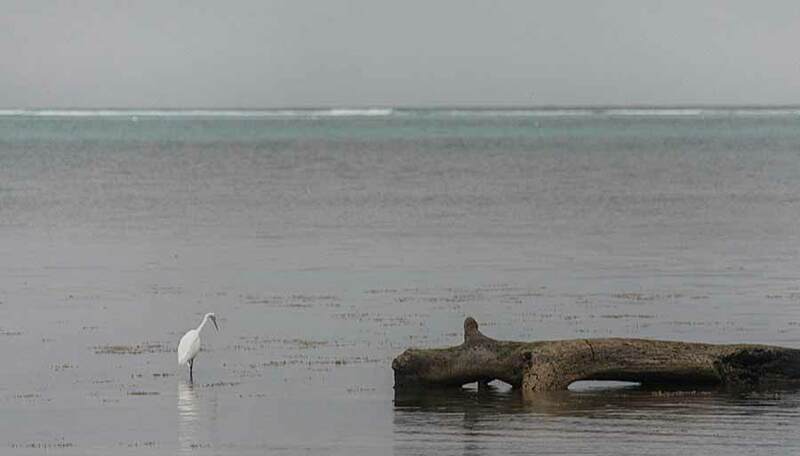 On Ambergris Caye this morning the sky is overcast with a light rain. The wind is from the NE at 10 mph and sea is calm. 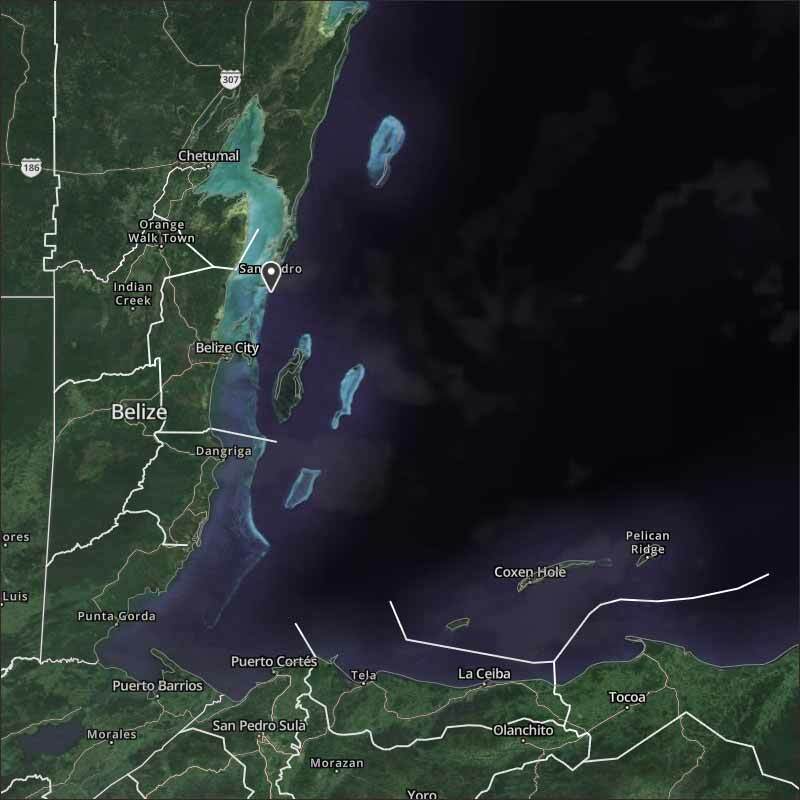 Our expected high is 80 f.
There is a general drift of heavy cloud over most of Belize, except Corozal, from the NE. This is causing a few light showers, mainly across central Belize from Belize City and Orange walk inwards. Looks like today will be very similar to yesterday, mainly cloudy, the occasional chance of some rain patches, only a small chance of the sun appearing much. 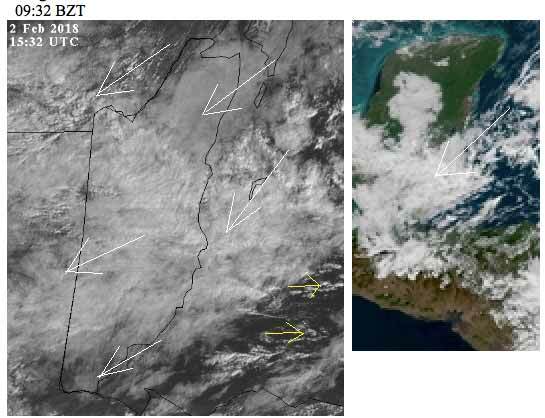 The Cloud picture: A lot of cloud generally moving from the NE over most of Belize, causing a little rain in a few places. 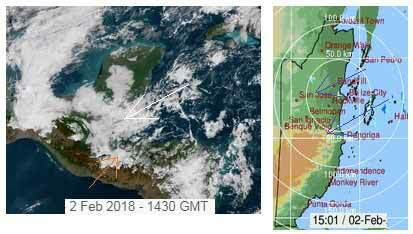 Yet the overall picture around our part of Central America does not have so much cloud, it appears to be just developing and sitting on or near Belize.